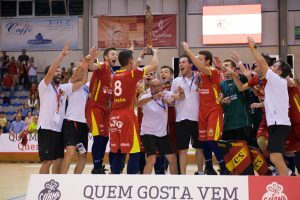 Spain return to win the U20 European Championship after 12 years. A great game of Sergio Macia’s Team against a square Italy with many incredible saves of his goalkeeper Zampoli, one of the best players of the tournament. Three to two the final result, after a tactical match resolved with a shot from about 20 metres to 10 minutes to the end. Italy made the best of its repertoire in first period but in the second half has suffered the attack skills of the opposite team. Portugal took the bronze medal against a solid Germany (7-2) and Switzerland has classified 5th, England 6th. The U20 European Championship will return in 2020 with the new name: U19 European Championship. Switzerland won again against England for 11 to 4. After the victory of yesterday, the swisse team won again with a clearly superiority from the start of the game. England has tried to return in the match after the partial of 4-0 in less then 10 minutes. Two goals for the english in the first period, but Switzerland has remained with a +4. In the second half, Switzerland has increased his score with other 5 goals. Best scorers was Gregorio Boll with 3 goals, 2 gor Althaus and Walther. For England scored twice Daly. Switzerland confirmed the result of 2016 with the 5th position, instead England finally ranked in 6th place. Without the best scorer Santos, injured yesterday in latest minutes of the game, Portugal has conquered the bronze medal. An equal first half: unique goal was for Pereira in penalty shot. In the start of the second period, germans has drawn the match with Ober. The answer of portugueses arrived very early, with a significative three goals in a row in only 70 seconds. The break of 3-0 (2 goals Neto) was decisive for conquering the bronze medal. In the last part of the match, two other goals for the definitive 5-2. 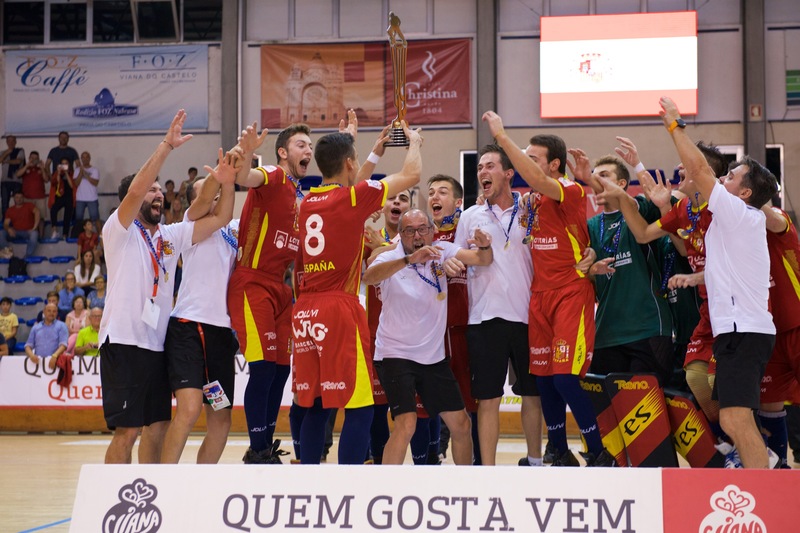 After 5 consecutive U-20 title, never happened in the history of the category, Portugal won the bronze. A great game of Sergio Macia’s Team against a square Italy with many incredibles saves of his goalkeeper Zampoli, one of the best players of the tournament: he saved three penalties shot in the first half. Three to two the final result, after a tactical match resolved with a shot from about 20 metres to 10 minutes to the end of Manrubia. Italy made the best of its repertoire in first period but in the second part has suffered the attack skills of the opposite team. 1-1 the results after first period: Compagno scored the best goal ever of this EuroU20 and draw a shot of Ricart. At the start of second half, Domenech has taken the lead with a short shot in the area, but some minutes after, the best scorer of EuroU20, Francesco Compagno, has centered the draw in on a Direct free shot penalty. Spain has remained so many minutes in the attack zone to search the advantage, that they found at 10 minute to go, thanks to a great shot from 20 metres of Manrubia, spanish best scorer. It was the last goal of a tough final match for the gold. Spain return to win after 12 years, Italy win the second silver in 2 years, happened only 1 time in the history, in 1990 and in 1991. Compagno (Italy) 14 goals, Manrubia 11 goals, Santos (Portugal) 10 goals and Joseph (Spain) 10 goals.